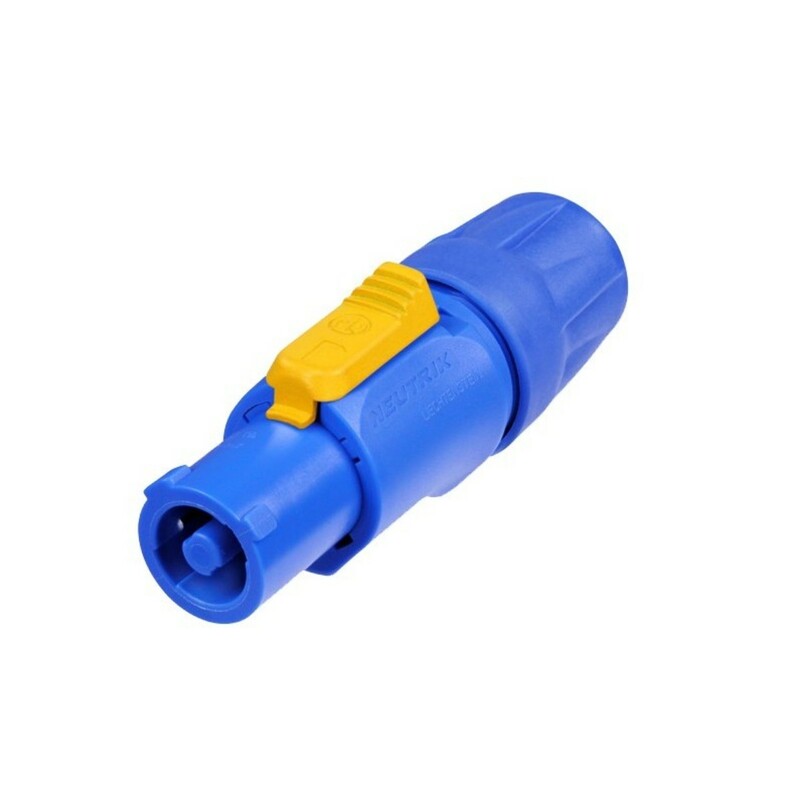 The Neutrik NAC3FCA Lockable PowerCON Power-In Connector is a 3-conductor equipment AC connector. 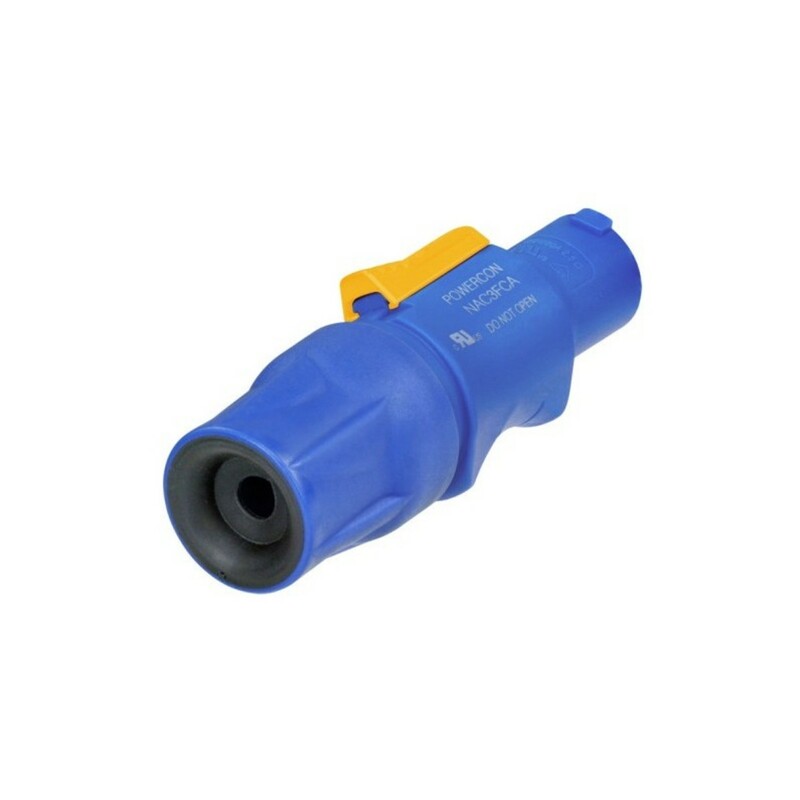 The NAC3FCA features contacts for line, neutral, and pre-mating ground contact, and is designed to replace appliance couplers to provide an exceptionally rugged and reliable solution. The lockable nature of the NAC3FCA ensures a safe power connection, whilst blue colour coding and unique keying prevent the possibility of intermating with a power-out version. Equipped with Neutrik's unique chuck-type strain relief, the NAC3FCA boasts superior cable retention.